Extremely well maintained, fully updated pool home. New kitchen with soft close drawers and doors, baths, granite counter tops, appliances and flooring in last 2 years. Solar heated Pool installed 2011. Freshly painted in & out in last year. Large lanai with extension patio for grilling. Yard is extensively landscaped for privacy with fruit trees and firepit. Screened front entry porch, large dining area in kitchen. Garage has tons of cabinets for storage. 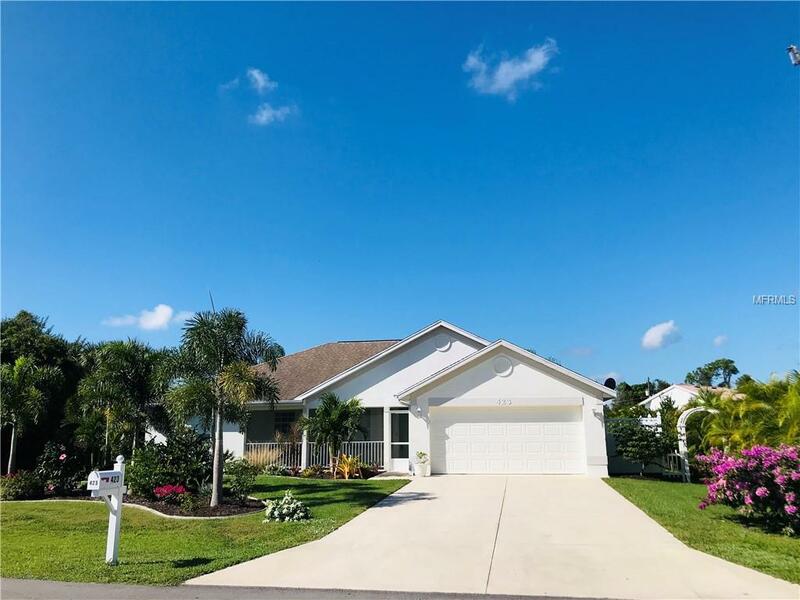 Quiet NE section of Deep Creek all you'll hear is Florida breezes and birds singing and its in an "X Zone" No flood insurance required!, don't miss out on this great home. Sellers motivated!